Annie F. Downs is the real deal ! In her writing and in life, she is so authentic about being brave. She is so courageous and if you haven't read "Let's All Be Brave" or "Looking for Lovely," I highly recommend that you do! These books will change your life and the way you see authentic living, being vulnerable and to stop shaming yourself. 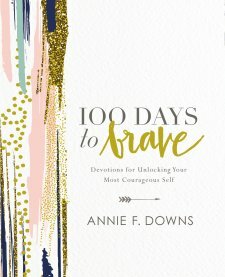 "100 Days to be Brave" is in the format of a devotional, but I would rather see the book as a journey with God and not a devotional. The book challenges the reader on what it means to live a life worthy of the call to follow Christ, with bravery, courage and to being willing to face road blocks in life with great courage. At the end of each page, the reader is met with a challenge. 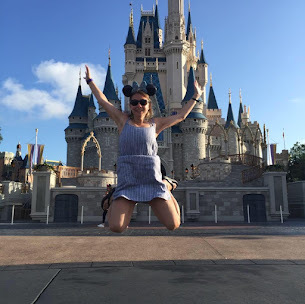 I have been encouraged to journal my journey with God through taking moments of bravery and moments where I haven't felt courageous with each of these challenges by Annie. This book will help you to dare and dream bigger, while stepping out of your comfort zone. Get ready to take on a journey with God that will help you step out and face fears in your life to discover the way God created YOU! I give this book 5/5 stars. A favorable review was not required. Read more at anniefdowns.com !